When I started gardening there wasn’t a lot of interest in sorbus, or perhaps it was that I wasn’t very interested in them. Everyone knew the common rowan (S. aucuparia) and the yellow-fruited ‘Joseph Rock’ was very popular but that was about it. 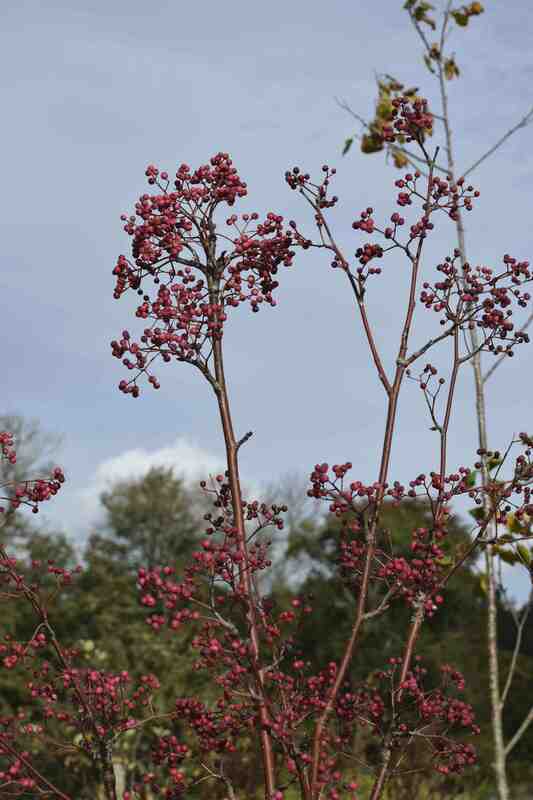 But pink-fruited sorbus seem to be gaining in popularity and, like most sorbus, they make good garden trees, with compact habits, light foliage cover and they offer a lot of interest for the space they take up. ‘November Pink’ seems to be doing the rounds here at the moment and it is a fine choice for a small garden, especially when the leaves have dropped and the sun catches the deep pink berries. It is actually a form of Sorbus hupehensis, from China. What is odd is that the species was introduced to the UK several times at the beginning of the last century and the species typically has white fruits. There is no name to differentiate the pink-fruited types, although they are sometimes called S. hupehensis var. 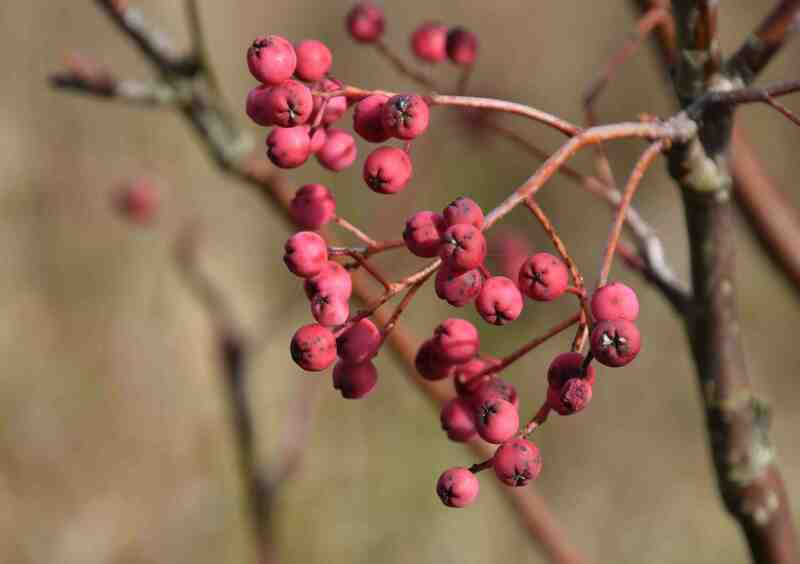 obtusa, but a collection known as Sorbus wilsoniana has pink fruits and a plant of this was selected in The Netherlands and named ‘November Pink’. Sorbus hupehensis grows to about 13m in the wild but it is usually smaller in cultivation. In general, sorbus are easy to grow but they will not thrive on heavy soils that are very wet. Although ‘November Pink’ is propagated by grafting (often onto S. aucuparia), sorbus produce seed apomictically so seedlings should be identical to the parent.